Last week, we had the pleasure of staying at the Rosedon Hotel, situated in the center of Hamilton but tucked away from the road in a hidden oasis of luscious nature. This boutique hotel has been a family run business for the last 65 years and would say, this is one of the reasons that make’s this hotel stand out on the island. For me, there is nothing better than that feeling of being ‘looked after’, and the staff at Rosedon don’t miss a beat when it comes to that. Whilst staying at Rosedon, we got introduced to both siblings Lee & Scott who are the grandchildren to Mrs. Geoffrey Kitson. The family business is called Kitson & Company LTD. The newly renovated hotel originally started with 5 bedrooms and has now increased to 40 bedrooms, where it has expanded to outer-buildings. As you walk through the exotic garden towards the pool, you half expect a parrot to pop out to say ‘hello’, however there was only their sweet house cat Owen. In early 2017, Rosedon introduced a new restaurant called ‘Huckleberry’, where Breakfast, lunch and dinner is available and located in the main house and front porch. Huckleberry’s head chef Lucy Collins showcases local ingredients in a variety of custom-crafted dishes inspired by Bermudian, Southern and Mediterranean influences. All food is Organic, hormone-free and free range wherever possible and is beautifully presented when served. Room service is also available, served to the room, patio / balcony or at poolside, which would be lovely on a sunny warm morning. In the late afternoon they host a Traditional English afternoon tea in the main house served between 4 p.m. and 5 p.m – I am avid tea drinker and biscuit eater, so this went down very well. We chose to have our breakfast on the front porch with the sunlight beaming down onto us. The menu has a vast amount of choice and we struggled to narrow it down to one meal each, so we ended up having pancakes as an extra to share! 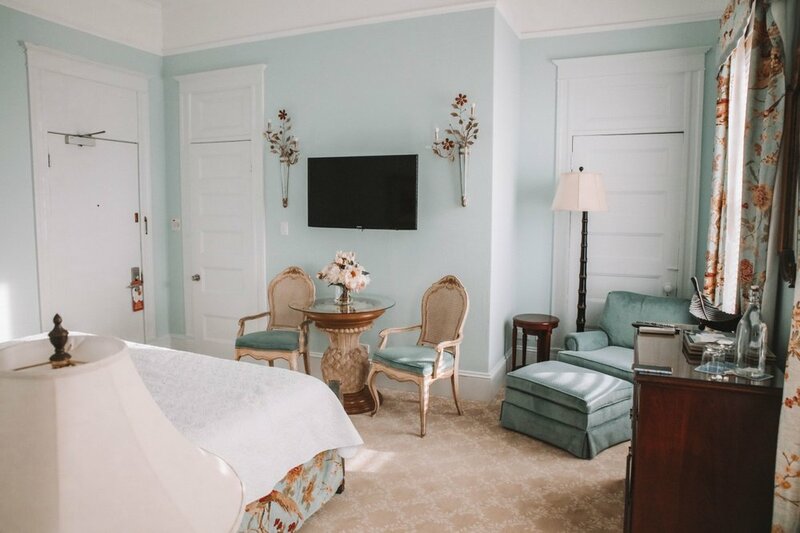 The hotel has 40 bedrooms, 5 Royal rooms, 9 Luxury room, 8 Deluxe and the rest are Superior and Standard rooms – we had a wonderfully bright Luxury room inside the main house, which was recently redecorated. 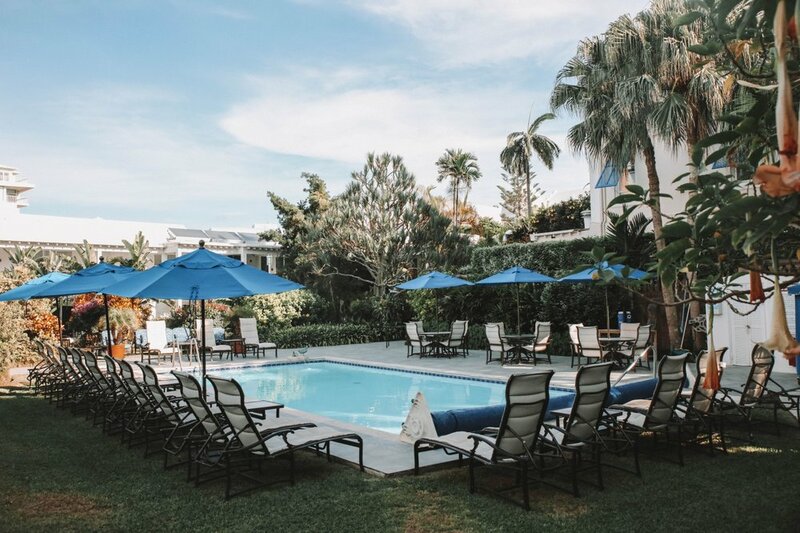 If you’re looking for somewhere small and intimate to stay in Bermuda, then this uniquely Bermudian hotel is the place for you! Thank you Rosedon Hotel, we thoroughly enjoyed our stay and will most definitely be visiting the Huckleberry restaurant again. Visit their website for more information on special offers, packages and image galleries.